Unarts: DON'T PAY ATTENTION TO THE PRICES IN THE PIC...NEW PRICES BELOW!!! 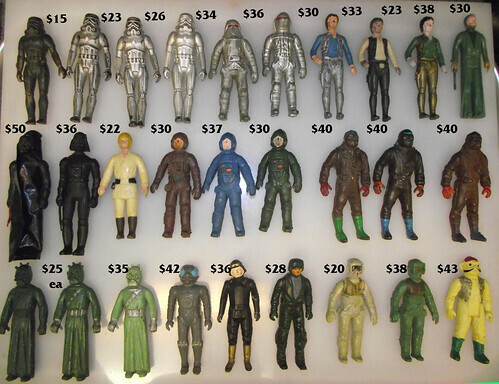 Hoth trooper on first row is pending, the rest are avail. TAKE 25% OFF ANY 1ST GENS !!!! Wow. 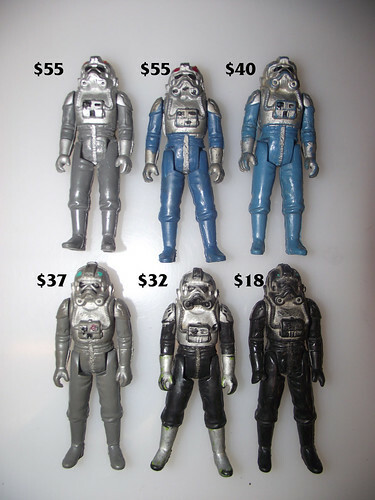 Love the deluxe troopers. Not knowing about these, who made them, when? I get Poland was country of sale, also made there? Not finding anything when I google it. PM sent - couldn't find an email address so I hope that works! PM sent. Unarticulating Polish Hoth Snowie gone! Poland was also the country of manufacture, I've written an article about the line, but the site that it's going on isn't live yet. I'll still be putting the site live before I bow out of the hobby. Joe, PM sent on the green Unart LXW and to see if you have any Polish Sprues left. I just wanted to say thanks to you, Joseph! My first batch arrived today! Very fast shipping to me! A great deal! Super cool and good guy to deal with! I couldn't be happier all around!!!!!!!! Thanks again man! I can't wait for the 2nd batch (and maybe a 3rd). Thanks again to Joe for my second batch of Unarts (Vader w/cape and full saber & Silver trooper)!!!!!!! And Joe added these little fellas to the box! What are they?!?!?! Pencil toppers from some acid tripping designer???? I am still thinking about a couple more, Joe. Just a late 70s set of unlicensed pencil toppers, they were sold in bubbles in gumball machines. I bought a bunch in bulk years ago, and sometimes toss some in as extras when shipping stuff. Ah the good ol added bonus pencil toppers. I love the bunch I got one time. Still have to figure out a good way to display em. Joe, got my package over the weekend. Thanks a lot for hooking me up. I am glad you were once again able to help me out expand my Bootleg collection. I owe you one! Good luck weith the rest of your sales. FIRE SALE!!!! 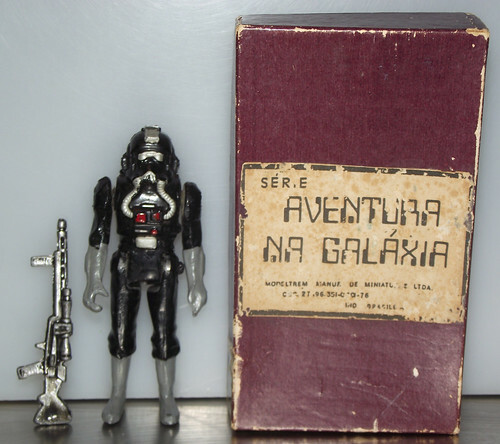 Need some funds for my plane ticket for CE...... buy some bootlegs!!! I sent a PM a little while ago too! WEird man.... it shows up in my view... if you can't see my next reply to you, just PM or post your email address and I will hit you up there. 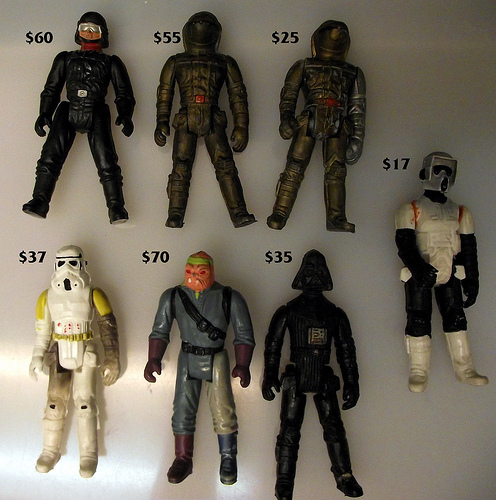 both nicer stormtroopers and 1st gen Vader are pending. I think the issue of not seeing the text is a combo of the new system for posting that I see now and the fact I use my own stylesheet so my view of this forum is white background with black text.